Who was the real John Locke? John Locke (August 29, 1632 – October 28, 1704) was an English philosopher. Locke is considered the first of the British Empiricists, but is equally important to social contract theory. His ideas had enormous influence on the development of epistemology and political philosophy, and he is widely regarded as one of the most influential Enlightenment thinkers and contributors to liberal theory. His writings influenced Voltaire and Rousseau, many Scottish Enlightenment thinkers, as well as the American revolutionaries. This influence is reflected in the American Declaration of Independence. Locke's theory of mind is often cited as the origin for modern conceptions of identity and "the self", figuring prominently in the later works of philosophers such as David Hume, Jean-Jacques Rousseau and Immanuel Kant. Locke was the first philosopher to define the self through a continuity of "consciousness." He also postulated that the mind was a "blank slate" or "tabula rasa"; that is, contrary to Cartesian or Christian philosophy, Locke maintained that people are born without innate ideas. Who was the real Jeremy Bentham? Jeremy Bentham (IPA: ['benθəm] or ['bentəm]) (15 February 1748–6 June 1832) was an English jurist, philosopher, and legal and social reformer. He was a political radical, and a leading theorist in Anglo-American philosophy of law. He is best known for his advocacy of utilitarianism, for the concept of animal rights, and his opposition to the idea of natural rights, with his oft-quoted statement that the idea of such rights is "nonsense upon stilts." He also influenced the development of welfarism. He became known as one of the most influential of the utilitarians, through his own work and that of his students. These included his secretary and collaborator on the utilitarian school of philosophy, James Mill; James Mill's son John Stuart Mill; and several political leaders including Robert Owen, who later became a founder of socialism. He is also considered the godfather of University College London. Bentham's position included arguments in favour of individual and economic freedom, the separation of church and state, freedom of expression, equal rights for women, the end of slavery, the abolition of physical punishment (including that of children), the right to divorce, free trade, usury, and the decriminalization of homosexuality. But, WHY did Locke come back as Bentham on Lost? All the names and references on Lost mean something. Did you notice the fake Dharma commercial leading here? He and some survivors are still in their boat! Surviving a helcopter crash far easier than it looks? When Christian says "you can go now" to Michael. Or does it mean you can leave now? 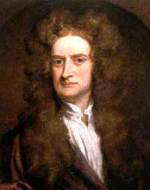 By the way, the picture you have of John Locke is actually Isaac Newton. Google John Locke. They don't look that similar.